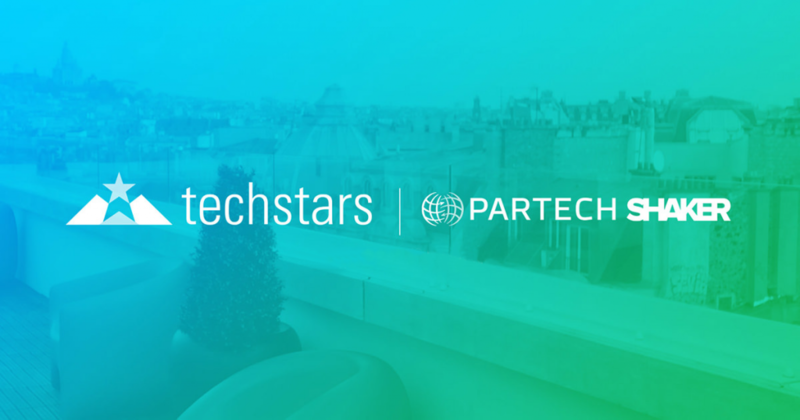 Techstars Paris Accelerator, the mentorship-driven program backed by French companies and hosted by Partech Shaker, will hold its first Demo Day next December 6th in Paris, in front of a panel of more than 300 people, including 150 investors. It’s time to have a quick look back on the first French edition of the American acceleration program. 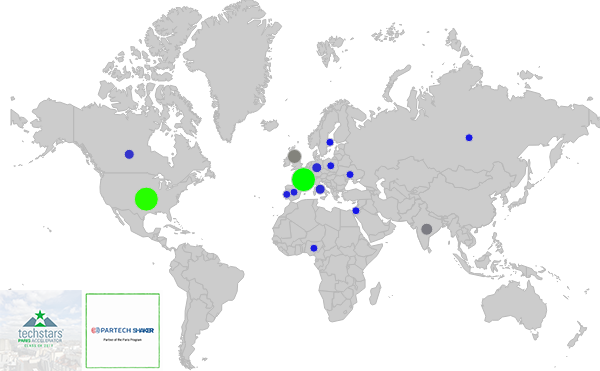 Last March, Techstars announced the launch of its first French acceleration program, Techstars Paris. Six corporate partners - Air Liquide, FDJ, Groupama, Renault Group, RCI Bank and Services, and Total - announced their commitment and support, not only financially but also through mentoring and business development opportunities to enable the startups to grow! They were recently joined by a new corporate partner, AccorHotels. Last Spring, the Techstars team received hundreds of applications from 64 countries to participate in this first Paris edition. 24% of the applications came from French companies, and the program received a lot of European applications (in Europe, France is only the third country to host a Techstars program, along with the UK and Germany). While selecting the best startups, the team also recruited the best mentors in town (or France ???? ) including Anh-Tho Chuong (Qonto), Cédric Giorgi (Sigfox), Thomas Girard (former entrepreneur, now with AccorHotels), Boris Golden (Partech Ventures), Romain Paillard (Le Wagon)… In total, the Techstars Paris team gathered 200 mentors from the French tech scene (in addition to the 10 000 mentors available within the Techstars network at a global level) to assist the startups during the 13-weeks program. Last September, Techstars Paris and its corporate partners revealed the names of the 10 selected startups. They came from California, Armenia, Portugal, Kenya, India, Luxembourg and France (Paris, Lyon, Toulouse) to work with the Techstars team in the heart of Paris’ tech scene at Partech Shaker. Here they are: BeSafe, Eyelights, Hydrologistics Africa, Lovys, Miuros, Pomp, SnapSwap, Terramanta, Wakeo and Zify. For the last 13 weeks, those elite 10 teams have been working hard, day and night. As in every Techstars program, the three months have been paced by 3 main high points: mentoring, execution and pitch. The first month, aptly-named Mentor Madness, was dedicated to meeting as many relevant mentors as possible: 900 meetings have been held with mentors during the first three weeks of the program to enable the startups to then select their lead mentors, those who would follow them more closely during the next months, and hopefully, years. The startups have also been working hand in hand with the Techstars Paris team, who helped with strategy, KPIs, design, HR and business development. It’s now time for these ten startups to share what they’ve achieved over the last three months: that’s what they will present next December 6th in Paris. We can bet there will be interesting announcements. Please follow @PartechShaker to know more in real-time!